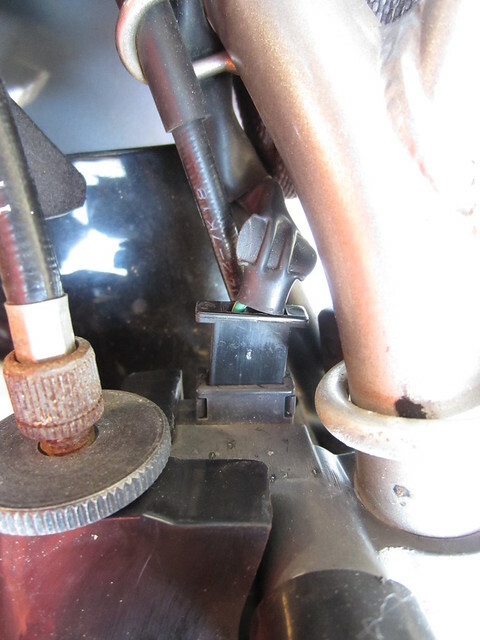 The KLR has two safety switches, one on the kick stand and one on the clutch lever. The potential problem is that crud may get into the switches causing them to fail, leaving you trail side with a bike that won't start. To get it going again you'll need to either perform a trail side bypass or fiddle with the switches until they work again, though they may repeat their failure a mile down the trail. After doing these bypasses, you won't have that potential problem hanging over your head. Nevermore will you live in fear of a safety switch failure. You'll also have the potential to start the bike in gear with the side stand down and have it topple over on you, trapping you under the pig with a broken leg while you await rescue, which may not come. You'll have to gnaw your leg off to free yourself. It will also be possible for you to ride off with your side stand down and crash at the first left turn. Again, you may have to gnaw your leg off. You've been warned sufficiently of the dangers, so here's how to do it. 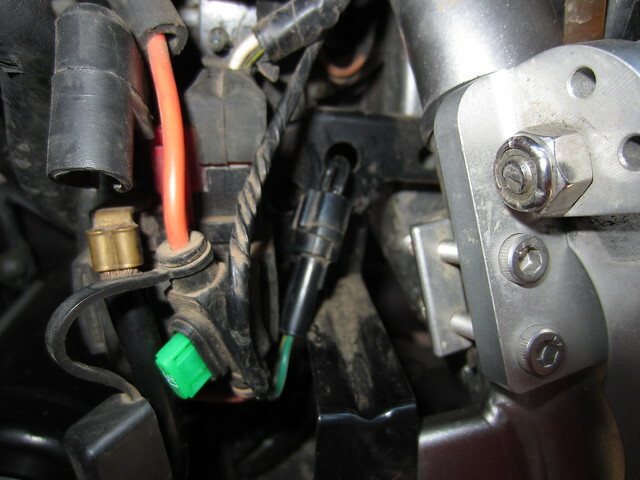 Stick it, or the mini-fuse, into the connector at the clutch lever. 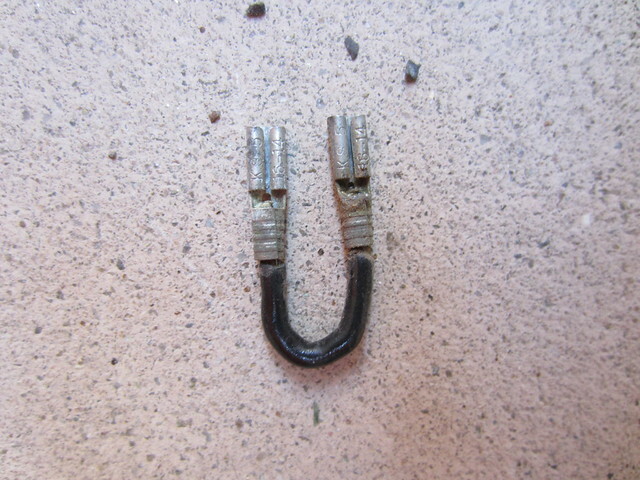 Tuck the connector back into the socket. 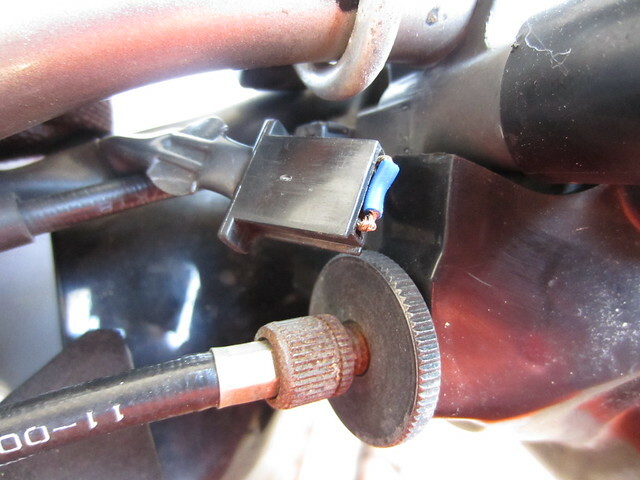 Now, the side stand switch. First, remove all that switchy/brackety stuff from the side stand. 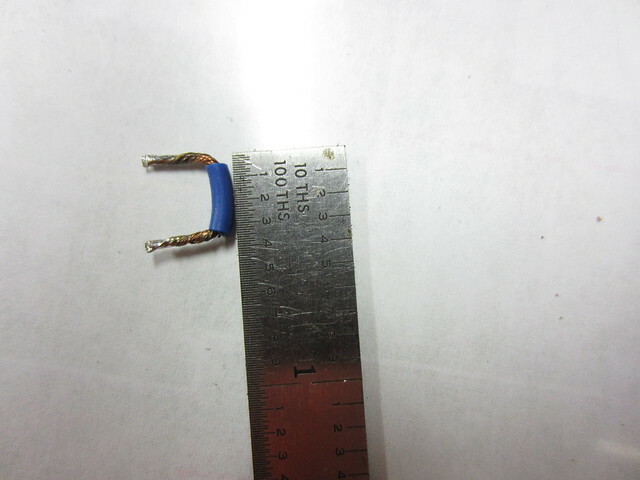 Unplug the switch cable from the plug that is up by the solenoid. Make yourself a gizmo like this, using .110 female connectors. Plug the gizmo into the connector. 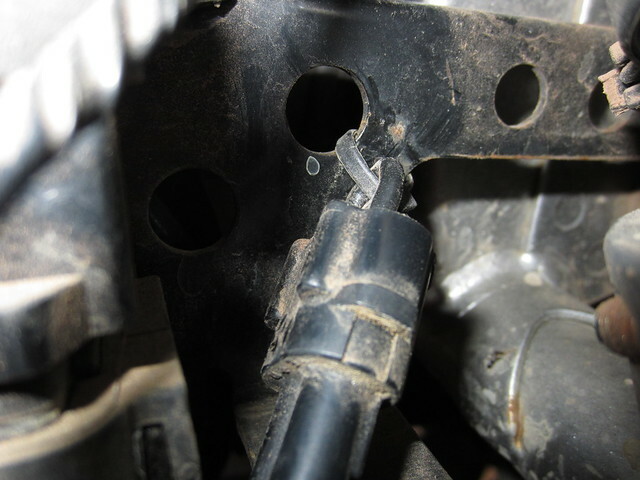 Tuck the connector away and secure it to the frame with a small zip-tie. Last edited by Tom Schmitz; 08-15-2013 at 10:49 AM. Thanks Tom , been meaning to get after both those fixes. No excuses anymore. 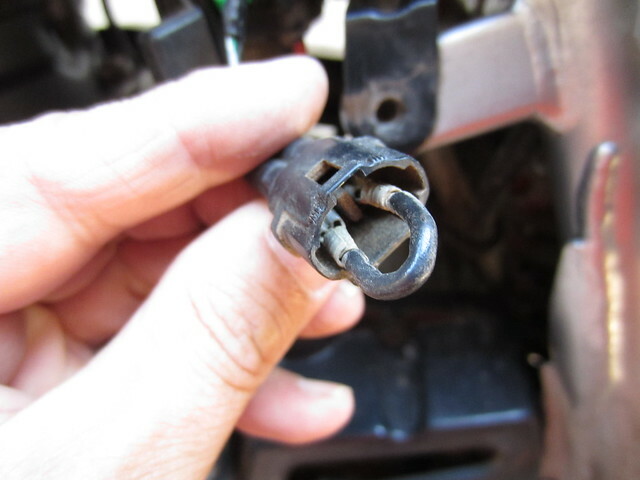 If you make up the little gizmo and carry that and a mini-fuse in your tool kit you can have a quick and easy trail side fix should your switches ever fail. Real easy on the Gen 2. Good post, Tom. Most instructions I've looked for regarding jumping these switches are pretty vague. Your photos help a lot. I made the little jumpers and carry them with me, but so far don't trust myself enough to go ahead and disable either one. Thanks for the Post.... I think not being able to start the bike when it's in gear is just Dumb. I have done both of these mods to my KLR, and no gnawing has been necessary yet (fingers still crossed). Back before Big Brother intervened, I had a Mazda RX7 with no safety starter lockouts...started her up one morning, but forgot to depress the clutch...darn thing nearly jumped thru the garage wall!! Great tip! I will maske those two jumpers up and put them in my tool bag! My now 30 year old daughter started my 1980 Dodge Ram D50 pickup in gear once (she was 3) and drove it through my garage door (it was outside the garage at the time) and over my Yamaha SR500 street thumper. My (then) wife had left her keys in the ignition, then thought she'd left them in the house, and left my daughter in the truck with the keys in the ignition. Murphy's law was in full enforcement. So, my suzuki M109r will start in gear only if the clutch is pulled in.... am I understanding that by overriding the safety switch it will start without pulling in the clutch? That's not good. When I first got the KLR last week, I stalled it in an intersection when the light turned green and almost got plowed into because I couldn' find neutral fast enough. So, that's why I want to be able to start the bime in gear. ... I couldn' find neutral fast enough. So, that's why I want to be able to start the bime in gear. start. In order to avoid lurching about and having to gnaw your leg off, you gotta pull the clutch lever in. If you have not done the bypass, then you either need to pull in the clutch to start it, or you need to find neutral to start it with the clutch lever out. In either case, you need to pull the clutch lever in if the bike is in gear to successfully start it. Last edited by Tom Schmitz; 10-10-2012 at 08:07 PM.